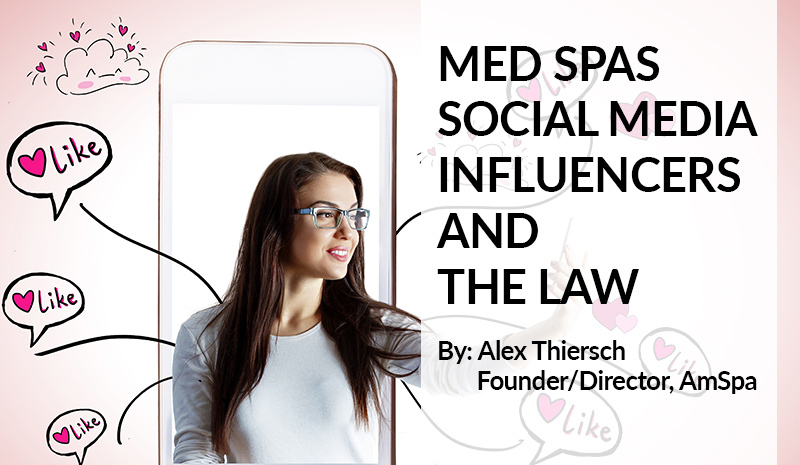 As the use of influencers increases in medical aesthetics, so does the potential for legal missteps. Though this method of marketing is beginning to proliferate all industries, since medical spas offer medical treatment the regulations that govern influencer marketing in this space are more stringent than with large brands you might see represented on Instagram, YouTube, or other social channels. The power of social media influencers is beginning to exert itself on the medical aesthetic industry. After all, if an influencer goes to a medical spa for a treatment, he or she may film the entire visit and broadcast it throughout the world on his or her social media channels. If the influencer has a large following, this can have a significant impact on a medical spa’s business. However, such visits are not always the organic, spontaneous situations they are portrayed as being. 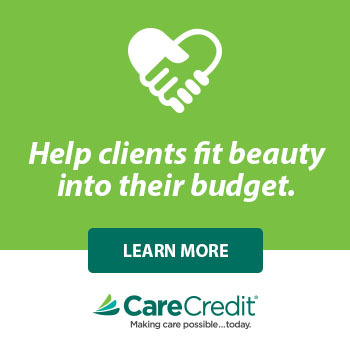 More and more, medical spas are compensating influencers with cash and/or free treatments in order to get them to portray their practices in a positive light. 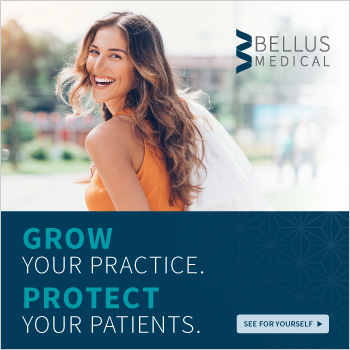 If your medical spa is engaging in this sort of advertising, it’s important to try to understand the legal issues surrounding these matters, although by and large, precedent has yet to be established, as this is a relatively new situation and a new medium in which these transactions are occurring. For medical spas, it is very important to have a written agreement with the influencer in place. This agreement should dictate what the influencer’s responsibilities are—for example, how many times they are going to post about the practice and what they are going to post. The practice should attempt to have as much editorial control over the posts as possible, since the influencer’s primary goal is to promote his or her brand—not yours—and it’s likely going to be up to you to keep them on message. You have to do what you can to make sure the deal meets your expectations to ensure that you’re getting your money’s worth. Even if you’re compensating the influencer with a treatment only, you need to make your intentions crystal clear, and a written agreement will help both sides understand the nature of the deal. This also helps you to put a value on the services you are providing. Another reason why you should seek as much editorial control as possible is because as a medical provider, the minute you compensate someone to promote your brand you are subject to medical advertising rules and regulations, which are much stricter and have much more dire consequences for violations than common advertising rules. Primarily, this means that you can’t say anything that can be construed as misleading, untrue, aggrandizing, or exaggerated—everything that’s said about your medical aesthetics practice must be provably true. You can’t simply say that you’re the best injector in the world, for example, because you’ll never be able to prove it, so the advertisement can be construed as being misrepresentative. When influencers are being paid to represent your medical spa (which includes providing them with free services), they are legally acting as a paid advertiser. As such, you’re responsible for everything they are saying, so if they say that your Botox treatment is the best in the city or your medical director is the best doctor in the country, you are responsible for that message, and the situation can get very sticky if a medical board finds out about it. You will need to make sure that the influencer understands that the medical spa is subject to these restrictions and that he or she needs to be careful about precisely what is said in these videos or blog posts. With a written agreement, you can disclaim some of these factors, which allows you to exert some control over the message. There are also a few legal issues that the influencers themselves should be aware of for their own sake. In 2017 the FTC issued warnings to over 90 social media influencers regarding required disclosures when being compensated in exchange for coverage, and included some guidelines for compliance. These include 1) Keep your disclosures unambiguous, 2) Make your disclosures hard to miss, and 3) Avoid hard to read, buried disclosures in string of hashtags that are skipped by readers. Influencer marketing can be a very powerful tool, but it must be wielded with some care in order for your medical aesthetics practice to remain compliant. As I mentioned earlier, the legal aspect of its use in a medical setting is still developing area, so if you’re unsure about how to proceed, be sure to consult with an experienced healthcare attorney. For more information on utilizing social media to build your practice, and about the laws governing medical aesthetics sign up for an AmSpa Medical Spa & Aesthetic Boot Camp.